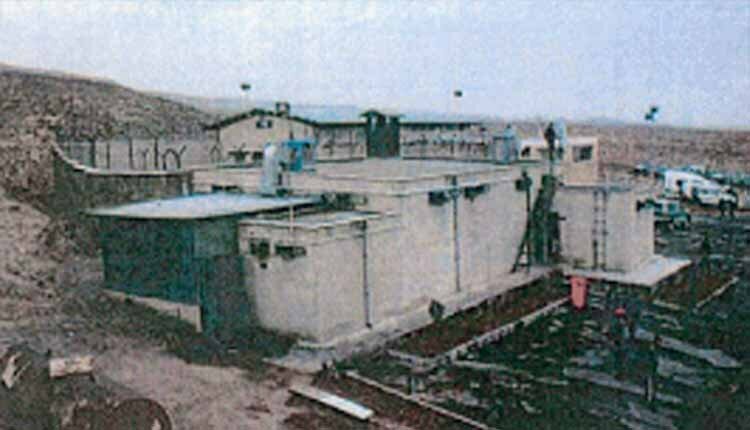 The Qarchak prison located in a desert, east of Tehran, is known as the most dangerous and worst prison in Iran due to its inhumane medical and psychological conditions. It is a disused chicken farm that is described as the largest prison for women in Iran. Common complaints include urine-stained floors, lack of ventilation, insufficient and filthy bathroom facilities, prevalence of contagious diseases, poor quality food containing small pieces of stone and salty water. As a new routine, those arrested on political grounds are first transferred to this prison until their sentences are finalized. Food is one of the prison’s major problems as the food is not enough for everyone. Prisoners are usually served spaghetti, boiled potatoes and bread. As a result, many prisoners suffer from severe vitamins’ deficiency. There is no ventilation in the siloes, which aggravates the unsanitary conditions. In a reported case, the sewage system was clogged and black water ran into the fresh-air room. The rotten odor of undrained sewage and unremoved spoiled garbage was intolerable for prisoners. Prisoners with respiratory problems had an especially difficult time.